Tear away stabilizer and cut away stabilizer for backing. Embroidery backing stabilizer is a layer of material spread under the fabric, the material is cotton or polyester. For the special cloth such as towel, velvet or blanket, because the surface is full of wool, it is easy to bring about winding, need plus a paper lining in case the thread was entangled. Embroidery stabilizer divides into tear away stabilizer and cut away stabilizer. Tearaway stabilizer is easily peeled off by hand, and cutaway stabilizer should be cut by machine. 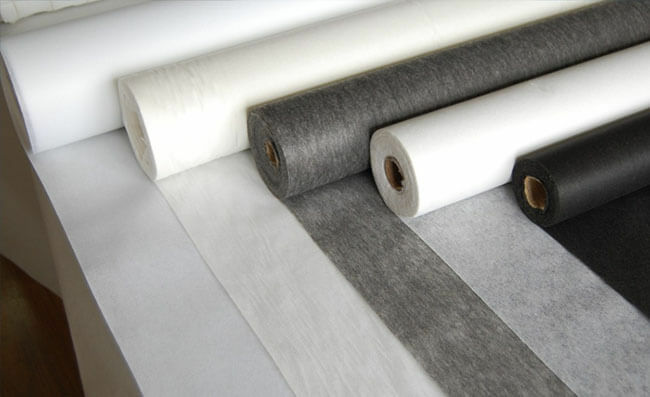 Cotton non woven interlining takes A grade recycle cotton as raw material, after more than 4 times finishing, with environmental protection slurry (adds tapioca impregnation), pasting, drying and molding process. The content in line with the most stringent standards for export and mainly used for children’s clothing, toys, and high-grade garment. The color of cotton embroidery backing is various, white, snow white, black and yellow. Some customers only care about the price choose the yellow normally. According to purchasing habits and regional division, the developing countries tend to use tear away stabilizer mostly for large number of clothes factories. On contrary, developed countries prefer cut away stabilizer. 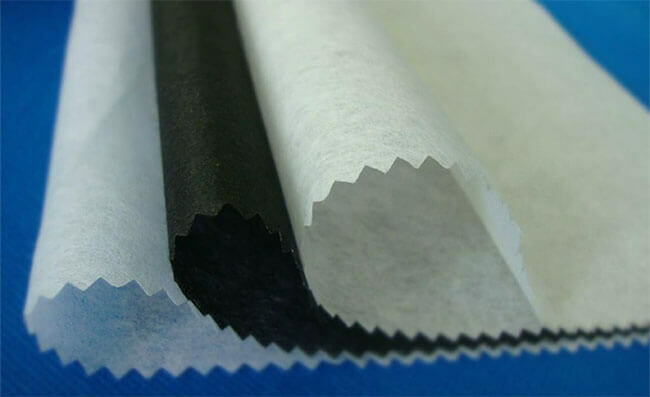 Polyester non woven interlining is made of polyester or nylon, produced with chemical bond, thermal bonded, air-laid web or spun-bonded methods. Air-laid web methods is hard to tear which named cut away stabilizer. We cooperated with the manufactures own 10 production lines, the width from 40” to 60”, annual sales of more than 6000 tons, favored by Europe and the United States customers.